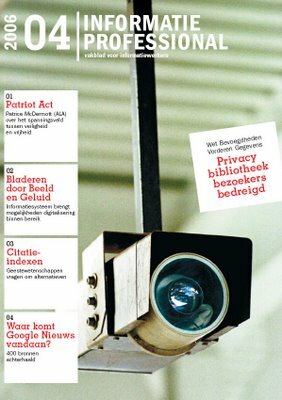 Johan Oomen and I published our learnings in a magazine for Information Professionals. Johan being the projectleader at The Netherlands Institute for Sound and Vision and I being the information strategy consultant have been the tandem carrying out the project for the last 2 years. The article is in Dutch, so is the magazine, but for the english readers we are aiming at presenting the story at the European Streaming Media conference in London on Octobre 12th-13nd.